A transgender Brazilian volleyball player playing for the country’s women’s Olympics team, has sparked controversy. Brazilian player Tifanny Abreu, has been dominating on the court this year in game after game. However, critics say the competition is unfair because Abreu is a natural-born male competing as a transgender woman, The New York Times reported. 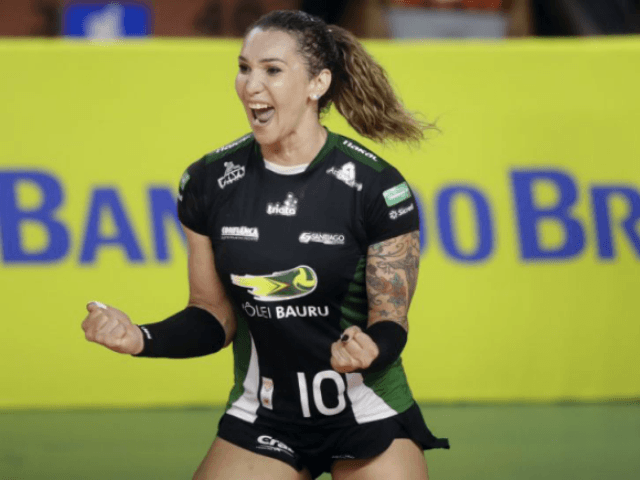 Abreu plans to make Brazil’s team for the 2020 Olympics in Tokyo, and if she does, she would become the first transgender volleyball player in the history of the games. While many are pointing to the situation as an example of “progress” for the transgendered, not everyone is supportive of Abreu’s inclusion on the women’s team. Past Brazilian Olympic volleyball star Tandara Caixeta, for instance, is not supportive of Abreu at all. Abreu, who stands 6-foot 3-inches, was required by Olympics rules to lower her levels of testosterone to qualify to be considered a female contestant. But some scientists say that merely lowering testosterone does not eliminate the natural advantage that an athlete born male has over natural-born female competitors. Ms. Harper, who published a study on transgender athletes, says transgender women who go through puberty as males do have advantages that cannot be eliminated completely through hormone therapy. Needless to say, the debate is still raging over whether it is fair for athletes born as biological males to compete as women.